It is with heavy hearts that we announce the passing of Alice Marie “Jeeter” Ellis on Sunday, October 7, 2018, at her home. She was the first born to Howard Judd and Irene (Haynes) Judd on September 4, 1926 in Roscoe, Texas. Jeeter spent her childhood in San Angelo, TX where she graduated from high school and attended business college. She met and married the love of her life, Charles M. “Chuck” Ellis at Goodfellow Air Force base in San Angelo, TX on July 12, 1946. They were blessed with three children, Michael Ellis (Sherry), Patsy Atwood, and Terry Birmingham (Bela). In 1959, they made the move to Reserve, NM where they spent the bulk of their lives raising their family and becoming integral members of the community. Jeeter began working as a teller at Catron County bank while Chuck was a teacher and coach at Reserve Schools. Jeeter retired in 1988 as an assistant manager of the bank and Chuck as superintendent of schools. After the loss of her husband on December 17, 1994, Jeeter stayed in Reserve until 2000 when she moved to Elephant Butte, NM. 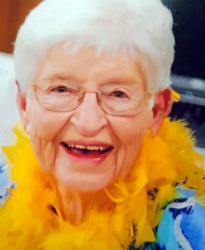 Jeeter was our “Yellow Rose of Texas”. She was a true patriot, a huge Dallas Cowboys fan, a fierce lover of her family and a great friend to many. Jeeter was the true definition of a lady and always met you with a smile and a hug. She loved working in her yard and treasured spending time with her family. She also truly enjoyed her Tuesday “lunch with the ladies”. Survivors include her three children; 9/grandchildren – Travis Kriegel, Kari Clevenger, Jesse (Liz) Kriegel, Warren (Julia) Ellis, Kristi Atwood (Nicole Lamonda), Kacey (Jason) Polanco, H.B. Birmingham, Brooke Birmingham, and Karli Birmingham; and 12/great-grandchildren – David and Aidan Kriegel, Britton and Bentley Clevenger, Joaquin and Roman Kriegel, Tristan, Gabriel, Kenzie and Keira Polanco, Iliana and Olivia Birmingham. She was preceded in death by her husband, Chuck; brother, Howard Judd; and her parents, Howard and Irene Judd. Cremation will take place and a Memorial Celebration Service will be held at the Albert J. Lyon Event Center on October 18, 2018 at 11:00 A.M. in her honor.